Fiji only has one Level Three accredited coach. 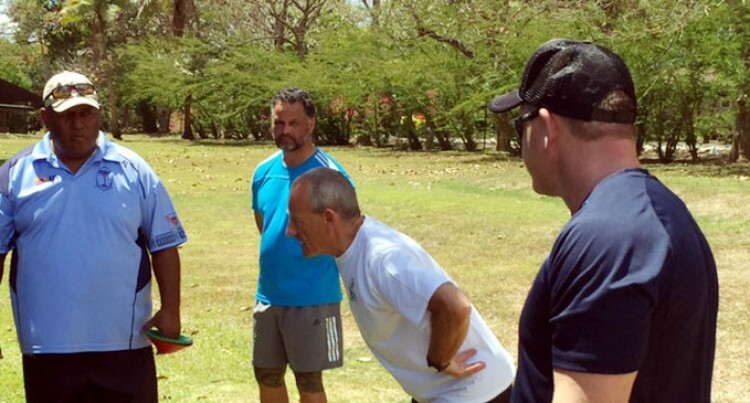 This was confirmed to SUNsports by World Rugby Oceania Training Co-ordinator Talemo Waqa yesterday during the four- day Level Three coaching clinic which is currently held in Nadi. “There is currently one Level Three coach in Fiji but currently we want to move our provincial coaches and national coaches to Level Three so that they can work towards improving their coaching in the provincial and get better. “Level Two is of very much coaching nowdays and Level Three is of the deeper end of coaching and moving,” Waqa said. “Most importantly the time has come now for us to start completing this Level Three and moving our provincial coaches,” he added. He said the coaches were ready to take up the Level Three coaching. “We have managed the six who have completed their levels one and two and are progressing very well. They are all ready for this coaching course. “The local coaches in here are happy. They now know most of the things but now it is more detailed and more structured,” he said. The twelve participants include Usaia Koroivunilagi, Akuila Nasi, Apakuki Vacala, Ifereimi Rawaqa, Samisoni Baikeitoga, Josaia Rokomarawa, Alifereti Mocelutu, Samuela Domoni, Viliame Gadolo, Sale Sorovakai, Levaci Digitaki and Osea Umuumulovo.